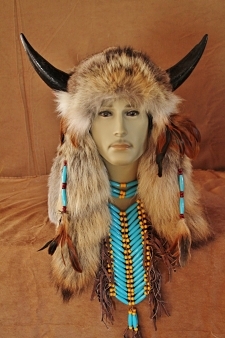 Are you looking for a native american headdress or indian accessories? 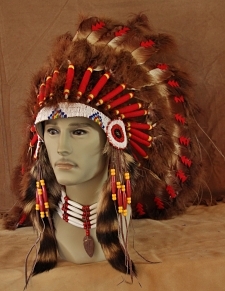 Or maybe you are looking for a feather headdress or a feather mask like those worn by Las Vegas showgirls or during Mardi Gras? At Jumanoscraft you will find that special piece that you are looking for, if not we can make it for you! 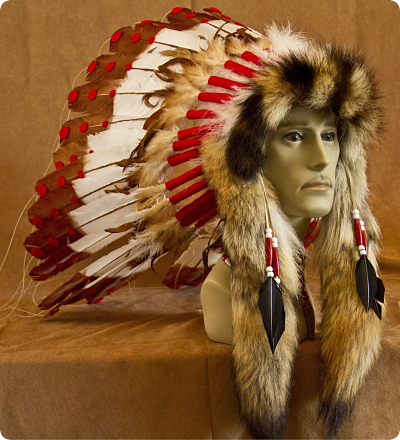 Our line of imitation american indian products (not indian made) are great for collectors, as costumes, boy scouts or as pieces of art. 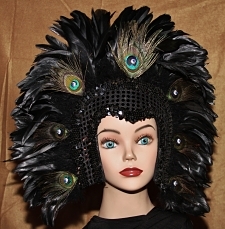 Our collection of feather headdresses and feather masks will make you the life of the party! 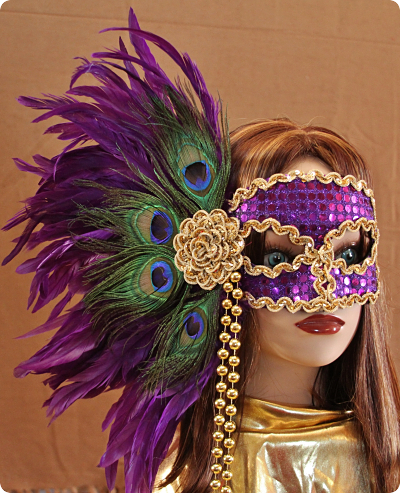 Many of our feather headdresses and masks have that Las Vegas showgirl or Mardi Gras look. With a variety of sizes and prices you are sure to find the one that's perfect for your occasion. If you find the piece that you want and don't see it in your color, don't worry, we also specialize in custom orders; just contact us.